The Wheel Turns to Imbolc, 2014…….. I have been busy, both doing my yearly Imbolc deep cleaning and organizing, AND finding time to read, journal, take a nap, cook etc. Things I enjoy doing. 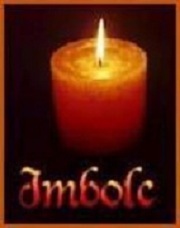 Imbolc is coming fast. I love this Sabbat. As I’ve said before, it’s the first one I celebrated. I mean truly celebrated it by stopping reading about it and getting up and doing something instead! I decided not to try to do all the complicated things I was reading in my books..and just do what felt right…. and I haven’t looked back since! This Imbolc I’m blessed with having my Circle of fellow Witches. We will be meeting to celebrate Imbolc for a breakfast..to welcome the Sun..and we will do it in our jammies! LOL..something fun to look forward to. It’s our first Imbolc gathering and won’t be our last I’m sure. As I mentioned, I do my Spring cleaning early, for Imbolc, as I know a lot of you do. I clean out closets and cupboards and drawers, getting rid of junk and organizing things better. I dust high and low, move furniture and sweep and mop, baseboards, ceiling fans etc. I clean my Witch cupboard out..dust it and cleanse and consecrate my tools again. I smudge the house the day before Imbolc, and put out new wards and protection. It’s a busy Sabbat and a very satisfying one! Magickally, I welcome the Sun on Imbolc morning, and that evening there is a fire of course. I burn any dusty old herbs that are still hanging and any greens, pinecones etc that are still around from Yule. Candles are lit all over the house. We feast and drink and celebrate, knowing that while Winter still has it’s grip on us, Spring and Sun and longer days aren’t far behind! 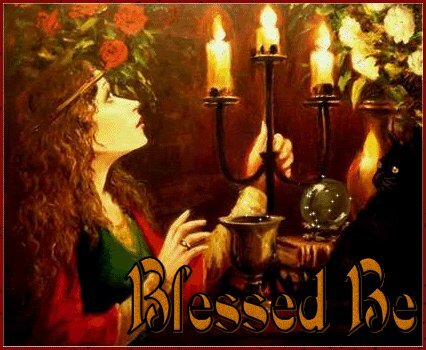 At Midnight, I throw open the doors and invite the Goddess Brighid in to my home..to protect and bless us for the coming year! I’m already dreaming about my gardens..planning what I want to plant, what I want to add or take away etc. This year, as we have just been in this house one year now, there is LOTS to do yet! Another raised bed will be built for my herbs, there will be holly bushes, lilac bushes and an elderberry tree added in the landscape. We need to add two new trees..maples…one to the front yard and one to the back. I’ll fine tune what I did yesterday, throw out what didn’t work and baby along what did. *sigh*…there is nothing better then the Sun on my back and my hands in the dirt. I can’t wait! As you all know, I love Winter, but even I am getting tired of this frigid cold we’ve had this year. I don’t mind the snow at all, but the cold is something else! I see so many talking about being tired of it already, feeling depressed, or cabin fever etc. I totally understand. All I can recommend is that you take the time to do something that you really love doing and do it. Take a class, paint a room, re-decorate, work on your Book of Shadows or grimoire. Surround yourself with things and people who comfort you, watch great movies, sleep more, take a walk..even when it’s cold..just to get fresh air, read, dance, sing, make love…you get the picture! LOL. Don’t give in to it if you can. I find stepping out and breathing in cold, clean AIR does a lot to energize me..especially if the Sun is shining or the Moon is glowing! And there is always a cleansing bath…that makes everything better indeed! For now, I wish you all a wonderful weekend! Leave me messages and tell me your plans, I’d love to hear them. Be sure to use the search box on the right column for previous Imbolc postings and recipes etc. I may be back with a recipe or two a bit later this week. In the meantime, keep your Spirits up..use your Magick! Snow magick is strong! There is a 2nd New Moon this month as well..the Black Moon on January 30..not a real common occurrence! Use it! Bright Blessings to you all! 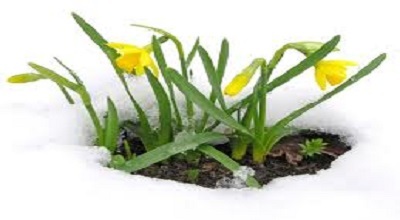 Stay warm and safe and remember..Spring will come!